Royal Marines Veteran, Bob Leefmans, served in the Corps between 1965 and 1979. Following an unfortunate parachute accident in 1976, whilst taking part in a Royal Marines display jump at the Withdean Stadium in Brighton, Bob was left paralysed, losing complete use of both legs. 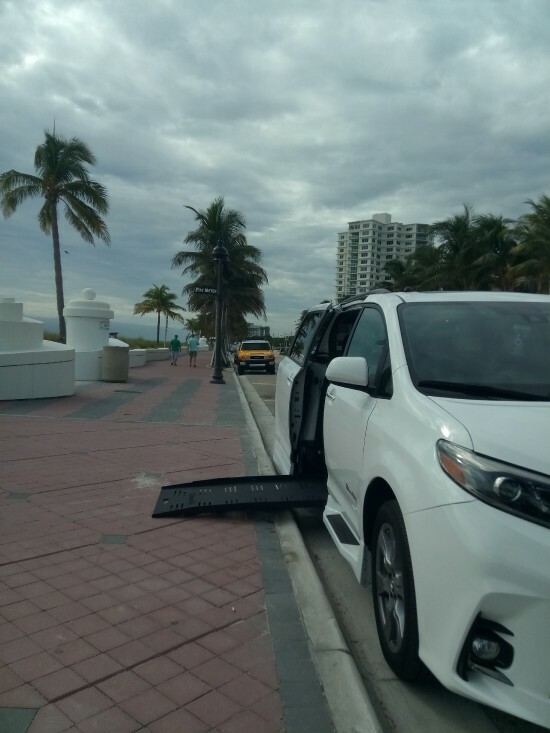 Today, Bob lives in Florida, USA and relies completely on his powered wheelchair and a specially converted vehicle to enable him to work at a Community School testing adult students, as well as, attend and serve at a local church, which he has been a member of for many years. 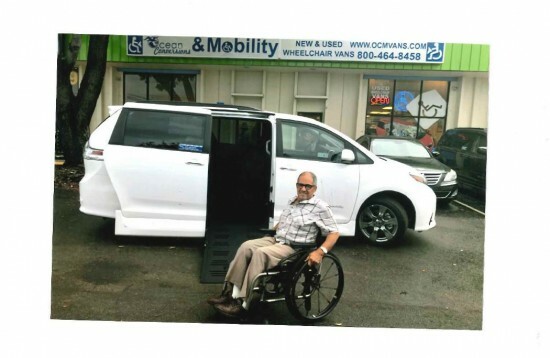 Sadly, Bob’s original modified vehicle was deteriorating and could no longer accommodate his growing physical needs, which left him unable to drive himself, becoming dependent on others. As he relies so heavily on his vehicle, it was determined that Bob was at risk of losing his employment and becoming socially isolated. The loss of his vehicle would, in fact, lead to him losing his independence and quality of life. It was at this stage Bob reached out to The Royal Marines Charity Welfare Team, via the Royal British Legion, to discuss his needs and help him learn about the support options that would be available to enable him to keep up his meaningful work in the local community. This was extremely important to him as a Royal Marine, because his injury never changed his heart to continue serving others. Even though Bob resides abroad, this was no barrier to the support the Charity was able to offer. Working with sister organisations, The Royal Marines Charity was able to lead the grant-making process, providing Bob with £10,000 towards a specially adapted vehicle. “It is with overwhelming gratitude I am expressing my thanks to you my oppos and friends at the RM Charities for the life-changing contributions in collaboration with H4H and The RNBT." As you can see from the images below, this specifically adapted vehicle enables Bob safe and easy wheelchair access, restoring his ability to drive and carry on his vital work in his local community. Bob’s story is a great example of how both The Royal Marines Charity and Royal Marines Association are working together to assist Royal Marines and their families in need and how we can work to assist the Corps family throughout the world. With the option to submit welfare support requests online, location and time are found to be much less of barriers in the support process. If you or someone you know requires the support of The Royal Marines Charity and the Royal Marines Association, please contact the Welfare team on 023 9254 7224 or complete a Welfare Request Form here.